Spencer is chief executive officer at Stratocore and a co-founder of the firm. He is Scientific Director to the Technology-Service Unit for Photonic BioImaging at the Institut Pasteur (Paris). In addition, Spencer currently serves as the Chief-Executive Scientific Director of the Institut Pasteur Korea. He holds a doctorate degree in biochemistry from Bristol University (UK) and has extensive experience in the fields of cell physiology, cell biology, and neuroendocrinology. Spencer is an expert in imaging sciences, with 30 years of applied experience, and has published more than 75 research articles and filed seven patents. He received the 2005 French national engineer of the year in the category of Research Science, awarded for his work on microscopic tomography. In 2015, Spencer was distinguished as laureate to the prestigious science prize “Prix Thérèse Lebrasseur“ (Fondation de France). His work for the international scientific community includes serving as founding president of the European international association, Core Technologies for Life Sciences. Mathieu is chief technology officer at Stratocore and a co-founder of the firm. He has designed and deployed advanced IT solutions at top-tier research institutions and core facilities, including the Institut Pasteur (Paris) and The Rockefeller University (New York). Mathieu holds a master’s degree in engineering from the Grenoble Institute of Technology (Grenoble INP, France). Rand is executive vice-president for global research solutions at Stratocore. He has devoted his career to helping organizations strengthen their research enterprises, and prior to joining Stratocore, he spent nearly 20 years as a consultant partnering with leadership and faculty across diverse research institutions. He has led projects at over 50 leading and emerging research institutions, with a focus on research strategies, core research facilities, and research centers and institutes. Rand has published papers and delivered presentations across research strategy and management areas, including core facilities. He holds master’s degrees in biochemistry and molecular biophysics from the University of Pennsylvania (US) and in science, technology, and public policy from George Washington University (US). Rolf holds a doctorate degree from Université de Paris XI (France) and a physics diploma from Göttingen University (Germany). Prior and in parallel to Stratocore, he served for more than 25 years in academic institutions (Max Planck and Fraunhofer) and companies (e.g., Evotec, Qlaym) during their start up and growth phases. Rolf holds several screening technology and life science patents and has vast experience in managing life science cooperations between academia, pharma, and biotech. He also serves as Managing Director of the life science startup BianoGMP. Michelle is the accounts manager at Stratocore. Prior to joining the Stratocore team in 2011, she studied business administration and has over 20 years of experience in accounts management and financial operations. A large portion of Michelle’s professional career has been dedicated to charitable and nonprofit organizations.  Leonor is the client relationship manager for Europe and Asia at Stratocore. She has over 20 years of experience working across the full lifecycle of large IT implementations by software providers in investment banks. Leonor ensures added value to Stratocore client relations and facilitates communication between Stratocore and its customers. Her role is to coordinate the entire pre-sales process, post-sales client implementation, and application support. Leonor is based in Paris. She holds a master’s degree in computing science and applied mathematics from the Instituto Superior Técnico (Portugal) and an executive MBA in international management from the International School of Management (France). Leonor’s mother tongue is French, also speaking fluent English and Portuguese. Dave is the client relationship manager for North America and Australia at Stratocore. In this role, he is dedicated to pre-sales client consultation, post-sales client implementation, and application support. He has 20 years of experience in accounts management and focused client development in IT strategic consulting and technical sales. Dave’s previous experience includes serving as an acting chief information officer and working in technical accounts and entrepreneurial business management. He holds a bachelor’s degree in computer science, with an emphasis on business management and development, from the State University of New York College at Oswego (US). Yasin is the support and advanced financial integration manager at Stratocore. Based in Paris, he holds a master’s degree in computer science, specializing on data mining and machine learning, from Pierre and Marie Currie University (now Sorbonne University) (France), as part of the Erasmus Mundus scholarship program. Prior to joining Stratocore, Yasin worked as a software engineer at the OneLab Experimental Facility in Paris, where he developed software for major Framework Programme 7 and Horizon 2020 projects in the EU, such as Fed4FIRE, FORGE, and SmartFIRE. In addition to software support and development, Yasin has experience writing tutorials, teaching, and creating documentation. Jeff is a product delivery lead at Stratocore. He possesses technical, business, and leadership experience across functions including software development and technology consulting for organizations ranging in size from small boutique operations to large global enterprises. Jeff holds a bachelor’s degree in marketing from the University of Georgia (US). Max is a full stack software developer at Stratocore. He holds a master’s degree in computer engineering from the University of Technology of Compiègne (France). Max studied abroad at the Graz University of Technology (Austria) and developed a focus on web development while working for large IT companies and banks in France. Bryan is a senior software developer and database specialist at Stratocore. He has over 25 years of experience working with Fortune 500 companies, non-profits, and government agencies. Bryan’s prior experience includes developing software for the Centers for Disease Control and Prevention, Clean Air Campaign, and Coca-Cola Company. He holds a master’s degree in business administration and a bachelor’s degree in industrial management from the Georgia Institute of Technology (US). Mustaqim is a support engineer at Stratocore, focused on application support, client implementation and financial integration. Based in Bangladesh, his previous work experience includes teaching and technical support for telecommunications network operations. Mustaqim holds a master’s degree in pervasive computing and communications for sustainable development from the University of Lorraine (France), as part of the Erasmus Mundus scholarship program.